Andrew and Ti are joined in the shed by Tushna Commissariat of Physics World and Achintya Rao of the CMS experiment at the LHC at CERN as they discuss their reaction to the wonderful October Sky film and the interview with Homer Hickam which appeared in part 1 of this October Sky double bill. We are somewhat besides ourselves with excitement to say that also joining us for this episode is Karsten Becker of PTScientists. You know...the people landing rovers on the Moon next year. You'd better believe it..Karsten has no time for consipracy theorists. 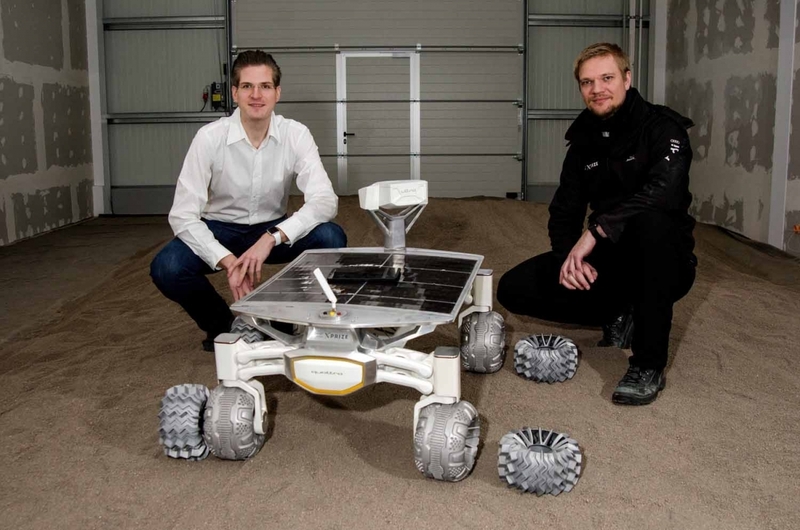 Karsten is on the right in this photo with one of his lunar rovers. In our search for our Sputnik, we venture across particle physics and gravitational waves, ponder the impact of the shuttle programme and so much more. 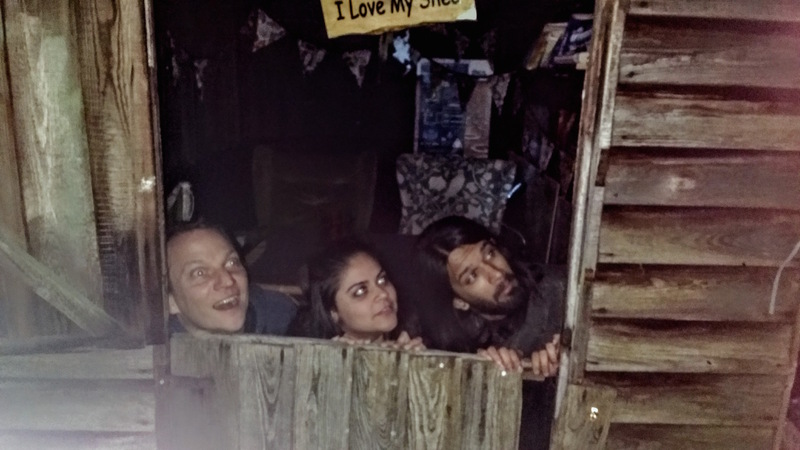 Left to right: Andrew, Tushna and Achintya. LIGO is a Gravitational Wave observatory which famously detected gravitational waves coming from colliding black holes in space billions of light years away.